The holiday season floods mailboxes with direct mail pieces. Mailers that announce big sales, company holiday cards, party invitations—the list goes on and on. How will your business break through the clutter this holiday season? One of the most effective ways is by sending your holiday message much earlier. And what better time to say “thank you for your business” and “happy holidays” than at Thanksgiving? Let Hallmark Business Connections provide you with unique card options, a variety of delivery and engagement opportunities and some of the best handwritten personal message ideas around. 1. 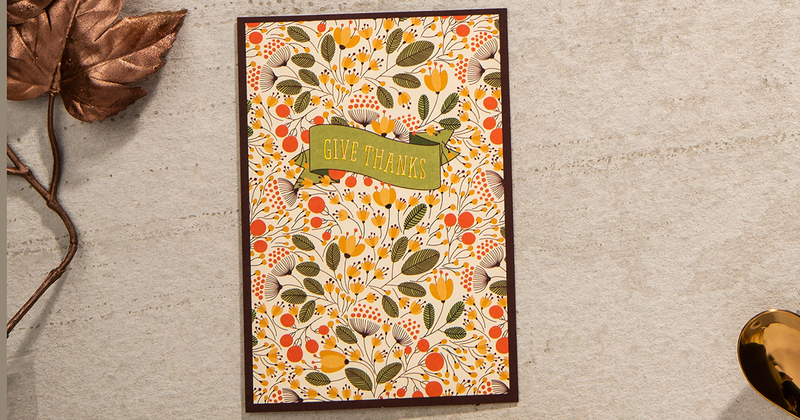 You beat the holiday rush with a Thanksgiving greeting card. 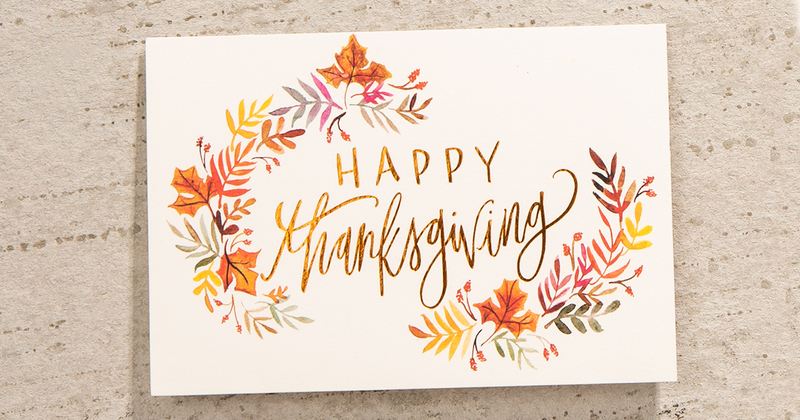 Be the first in your customers’ mailboxes this holiday season by sending out Thanksgiving cards. When most businesses focus on sending holiday cards mid-December, an authentic “thanks for your business” or “thanks for your partnership” Hallmark card is a great way to get your message out before your competitors do. Not everyone remembers a business holiday card—but everyone tends to remember a Hallmark Thanksgiving card from your business. 2. Thank you (and more!) goes a long way. When choosing a Thanksgiving message for your customers, consider what you’re thanking them for. Are you thanking them for their business? Their partnership? Their referral? Their loyalty? Be as specific as possible. The more personal your Thanksgiving message is, the more it will resonate with your customers. Another successful messaging tactic is to promote the ways that your company plans to give back to the community during the holiday season. Getting your customers involved in your cause-related marketing initiatives is a great way to build rapport. 3. Thanksgiving cards build loyalty. Messages with personality resonate with the reader, creating stronger connections and deeper brand loyalty. 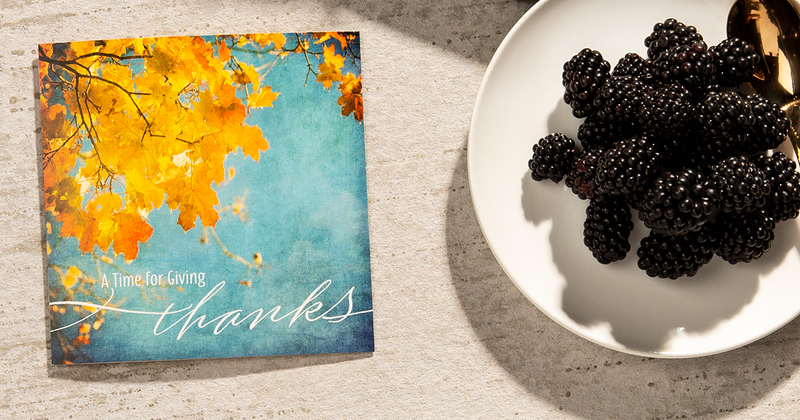 Taking a moment to send a meaningful Thanksgiving card tends to help build lasting relationships and continued business. When you show loyalty to your customers, you are more likely to get loyalty back. 4. Direct mail has more reach than digital marketing. – Getting an email blast promoting a sale or discount. – Receiving a Thanksgiving Hallmark card from a company you do business with. It’s obvious. Getting a genuine card in the mail just feels better. As a result, direct mail has been making a major comeback. It provides a more authentic, meaningful way to connect with your customers. Spoken and emailed thank-yous are relatively common. But when an organization takes the time to sit down and write a note of thanks, it becomes highly valued by the customer. And even better, sending a real message of thanks can increase marketing ROI, boost direct mail response rates and improve customer satisfaction. Is it time you shift your holiday direct marketing strategy to one that delivers authentic gratitude? 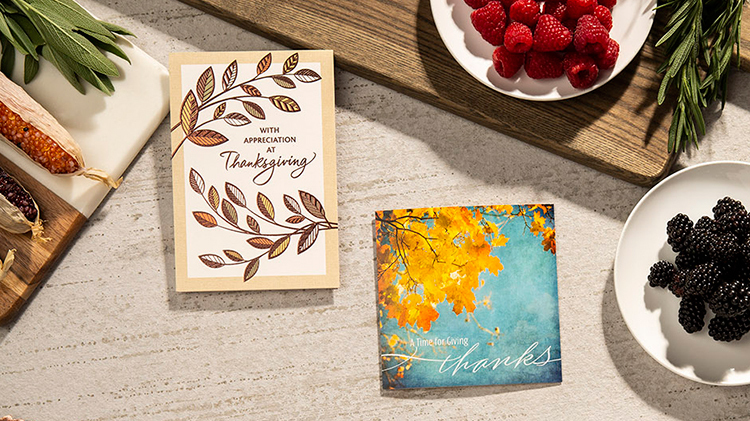 Connect with us today to learn more about a Hallmark Business Connections Thanksgiving card campaign for your business.